Takikawa glider flights are an incredible way to see Hokkaido's landscape from the Ishikari Plains to the Daisetsuzan National Park mountain range. Flights last about 30 minutes from take-off to landing. The perfect silence of the descending glider will leave a strong impression that is completely different from an airplane flight. Tethered, short-duration hot air balloon flights are available in the spring, summer and fall, with operators from Niseko, Furano and eastern Hokkaido flying daily when the weather cooperates. The Hot Air Balloon Festival in Eastern Hokkaido in August is a main drawcard for Hokkaido's ballooning enthusiasts. Situated about 90 minutes north of Sapporo, the Takigawa Sky Park provides glider flights by reservation. There are two types of gliders available, with or without a motor. Flights last about 30 minutes, including instruction, and reach an altitude of 500 meters. Enjoy fantastic views for Hokkaido as you descend silently through the air. Flights cost 7,500 yen for adults, 4,000 yen for children. The experience of flying in a hot air balloon over the stunning Hokkaido scenery is unforgettable. 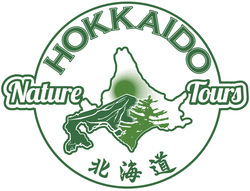 Flights are available all year around and every season reveals a magical side of Hokkaido's nature: Snow-blanketed landscape with crystal snow effect and drift ice in winter; bright green leave growth and snow-capped mountains in spring; lush forest and checkered farmlands in summer; incredible foliage of endless forest in fall. We'll help you choose a hot air balloon operator according to the season and location to best fit the parameters of your custom-made tour. ​Hot air balloon flights in Abashiri are at their best in winter. The balloons ascend to nearly a kilometer in altitude as the frozen landscapes below are revealed. Views of the drift ice and Shiretoko Peninsula are unforgettable during the 50 minute flights. The cost is 20,000 yen per person. Asobiya runs flights throughout the year. Winter flights last 40 to 60 minutes and take in the spectacular snow-laden Daisetsuzan Mountain Range. Flights in spring are 5 minute tethered flights during the sunrise and sunset hours. Tethered flights ascend to 40 meters. Free flights start at 14,000 yen per person for 40 minute flights. Tethered flights cost 2,500 yen per person. Hokkaido Lion Adventure has short-duration tethered flights available in the spring, summer and fall. Admire the views of the Niseko area's legendary mountains, including Mt. Annapuri, Mt. Yotei and Mt. Shakotan. Prices start at 2,100 yen per person. Tokachigawa Moored Onsen near Obihiro offers daily sunrise and sunset tethered flights during spring, summer and fall. The 5 minute flights ascend to 30 meters and offer great views of the Tokachi Plains, southern Daisetsuzan mountains and Hidaka range. Flight cost is 2,000 yen per person.